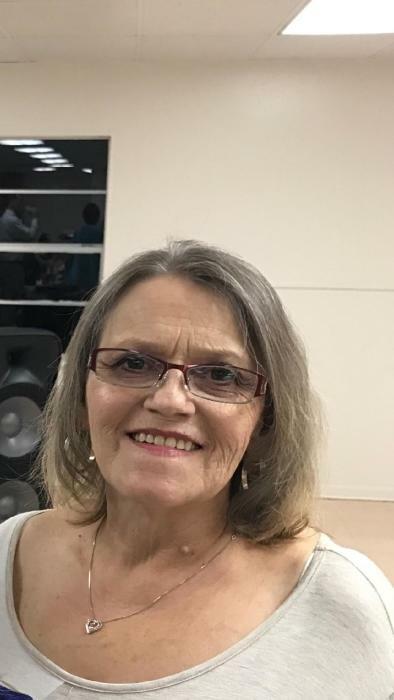 Obituary for Janet Marie (Shiflet) Mears "Sunshine" | Dixon Funeral Home, Inc.
Janet Marie (Shiflet) Mears "Sunshine"
Janet Marie Mears passed away on Monday, November 19, 2018 at Memorial Hermann Southwest Hospital in Houston, TX. She was born August 18, 1959 in Freeport, TX. Sunshine as she was affectionately known loved singing, dancing and playing the guitar. Janet was preceded in death by her parents, J.W. and Mary Louise Shiflet and brother, Truman Neal Shiflet. Janet leaves to cherish her precious memories; loving and devoted husband, Rex Mears of Brazoria; sons, Roy Shiflet of Angleton, Bryan Davenport and Darrell Mears and wife Brandi both of Sweeny, Ethan Davenport of Clute, Clint Mears and wife Dana and Bubba Mears and wife Margie both of Brazoria; daughter, J’Mee Shiflet of West Columbia; brothers, James Walter Shiflet of Clute and Douglas Warren Shiflet of Jones Creek; sister, Marynell Vintila and husband JohnRae of Clute; 10 grandchildren, nieces, nephews, other relatives and friends. Active pallbearers will be Roy Shiflet, Bryan Davenport, Ethan Davenport, Douglas Shiflet, Bubba Mears and Clint Mears. Family will receive friends on Saturday, November 24, 2018 from 11:00 a.m. to 1:00 p.m. at Dixon Funeral Home in Brazoria. Funeral service will start at 1:00 p.m. with Pastor Thomas Lester officiating. Burial will follow at Brazoria Cemetery in Brazoria, TX.